For most of us, our car is one of the most valuable items we own. But it’s also one of the easiest to steal. The average person has no choice but to leave their car unattended in parking lots and on streets for long hours at a time, even overnight. According to FBI stats, over 700,000 cars are stolen each year. The Honda Accord, Honda Civic and full-size Ford Pickups are three of the most commonly stolen cars in the country – but really any and every car is at risk. Car alarms are not only effective at preventing theft, but they’re also incredibly useful in recovery. Navigating the various car alarm systems can be confusing, but our recommendations and guide will steer you to success. Here are the five best car alarm systems for 2019 and a complete guide to finding the right one for your specific needs. Does the Car Alarm Noise Actually Stop Theft? What Features Should a Car Alarm System Have? 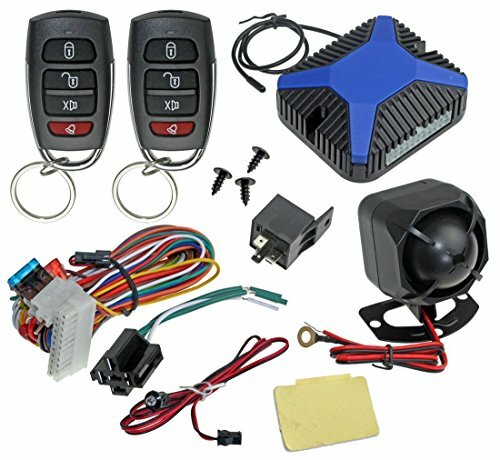 Can I Install a Car Alarm Myself? A blaring car alarm is a pretty common sound no matter where you live. Most of us are relatively immune to the noise. A motion-activated honking is even standard on many different cars and trucks. Does a loud noise really stop car theft? Yes and no. Car alarms can conceivably scare away a would-be burglar, but the noise doesn’t actually stop anyone from breaking into your car, and it also doesn’t help recover the car later. While a loud alarm might scare away some would-be thieves, the most useful feature of a car alarm is typically the tracking capability. Knowing exactly where the stolen car is located obviously makes recovery much easier for law enforcement. Car tracking often includes additional features such as geo-fencing and performance tracking. Car tracking has been around for decades, with the LoJack system probably the most popular. However, the new twist for today’s world is the ability to monitor tracking from your smartphone. A tracking device can be plugged right into your car’s On-Board Diagnostics connector. You then download an app and you’ll be able to track your car’s position at any time. Note that some of these tracking systems do require a monthly subscription fee. Typically, fees will range between $5 and $10 each month. However, because information is sent through a cellular network, you’ll be able to track your car practically anywhere on Earth. Motion sensors will be found on almost all types of car alarms. If the car is jostled by a person or hit by another vehicle, an alarm will sound. The alarm might be your car’s horn or a different noise made by the system itself. While alarms don’t necessarily engage members of the public, the extra attention can still be effective at chasing away thieves. Advanced systems will have a wide range of sensitivity settings. They’ll also send a mobile alert so you can be informed of the situation even if you’re out of earshot of the car. Car alarms can have either one or two-way remotes. A one-way remote is limited to locking or unlocking the doors and arming or disarming the alarm. If your car alarm goes off, you’ll need to physically hear it, because the key fob won’t flash, vibrate or offer any other indication. The two-way remote gives you more information. You’ll receive real-time alerts either through the alarm key fob or your mobile device (or both). The alerts can provide specific information about what’s currently happening to your car or the key fob might simply vibrate, flash, etc. As technology gets smarter, so do car thieves. In a weird way, certain types of car systems can actually make your car more vulnerable to theft. If the system uses unencrypted wireless technology, tech-savvy thieves can hack the signal and slide right into the driver’s seat. The best car alarm systems use encrypted wireless technology with all remote entry devices. A variety of anti-theft features are designed to cause the thief to abandon the stolen vehicle ASAP. Carjack protection features include flashing lights, loud noises and a variety of other sight-and-sound assaults inside the car which basically force the driver to pull over. Not enough? Consider an ignition kill switch to really stop thieves in their tracks. These systems are called “carjack protection” but they’re effective for any situation where a thief is behind the wheel of your vehicle (i.e., you don’t have to actually be carjacked). Most car alarms are controlled by a fob which is typically kept on a keychain. This is often the easiest solution if multiple people drive the same car. However, smartphone-based alarm systems are growing increasingly popular. Mobile apps allow you to receive text alerts and monitor your car in real-time. High-end manufacturers such as Viper are increasingly emphasizing secure cloud-based control instead of physical remote controls. Many car alarm systems include remote start. While this is convenient in cold weather, remote start is also a pretty important safety feature. When you can unlock the door and then start the car remotely, you can get into your vehicle quickly. Fumbling with keys while manually unlocking the door and then starting the car can place you in a vulnerable position. Remote start and keyless entry let you drive away from any location fast. 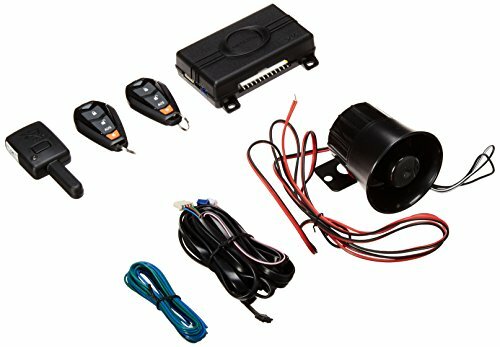 Generally, you only want to install a car alarm yourself if you’re more than moderately comfortable working on your car, especially with the electrical systems. Most people are usually better off with professional installation. Not only will you know the alarm is installed properly, but professional installation is often required in order to maintain the manufacturer’s warranty. Installing a car alarm yourself can actually be pretty dangerous. The typical installation requires splicing wires in the electrical system, which can cause a fire and other major damage if done incorrectly. Additionally, installation instructions typically aren’t written for a layperson. Most car thefts are victims of opportunity. If your car seems difficult to break into, most thieves will simply move on. Make your car alarm known. A car alarm sticker in the window and a blinking light on the alarm system are two simple but effective ways to deter theft. Don’t forget the basics. Always lock your car doors and make sure all the windows are rolled up. Also avoid storing a second set of car keys anywhere inside the car, such as under the visor. Additionally, never leave the car running unattended. This practice is especially popular during periods of cold weather. Called puffing, drivers will start their car and leave it to warm up – only to return in a few minutes to find their car has been stolen, often from their own driveway! Dash cams are growing in popularity across the country. These video cameras typically cover the front of the car. While they’re mainly used to identify fault in accidents, they’re also useful in parked cars. A dash cam can help capture video footage of any potential car thieves. When parking in public, always choose well-lit areas near other people when possible. Avoid parking far away from stores in darker locations. Even professional car thieves need at least a few minutes of solitude to steal a car. Consistent foot traffic can help keep your car more secure. Thieves might be more interested in specific parts of your car than the whole thing. A car alarm doesn’t do a great job preventing someone from popping open the hood and stealing engine components. Hood locks are a simple solution to keep valuable engine parts safe. High-quality components with up to four remote entry key fobs make this a safe and secure choice for any vehicle with multiple drivers. Don’t worry if you’re not familiar with the brand name Avital. As part of the Directed Electronics family, Avital is actually basically the same as Viper, Paython, Clifford and others. This means the components are very high-quality, but these systems are designed to only be installed by professionals. System includes two fobs with remote start-up, keyless entry and three-channel security. Up to four fobs can be programmed to one vehicle. A bright red LED status indicator will show thieves your car is ready to tackle trouble. Dome light supervision is also available with an additional relay. Controlled by an easy-to-use app, the CarLock system allows for real-time location tracking, speed monitoring and more. 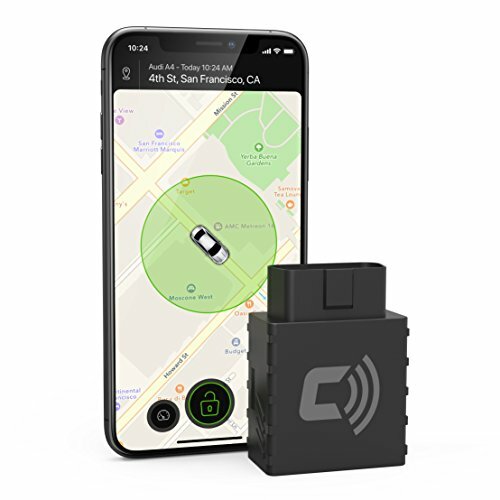 While not filled with features, the CarLock is a simple and effective way to track your car. The main system is a small device which plugs into your car’s OBD port. All alerts and tracking information is sent to your smartphone. Aside from location tracking, the CarLock system monitors all ignition starts, vibrations and even device disconnections. Have a teenager in your home? The system can be set to monitor dangerous driving such as speeding, hard braking and sharp turns. The entire system operates with a cloud-based subscription system. The first month is free with purchase of the device, with each subsequent month costing $9.60. Packed with features, the Viper 350 works to prevent theft as well as aid in quick recovery. Viper is a premier name in car security, and their Viper 350 is a versatile system with a variety of features. This is a three-channel system with keyless entry. Includes a four-button remote with optional remote start and GPS tracking. Would-be car thieves are thwarted on multiple fronts with dual zone shock sensors, Anti-Carjacking system, Panic Alarm, FailSafe kill switch and more. A bright blue LED light clearly identifies the system as a Viper, warning unsavory characters to stay away. 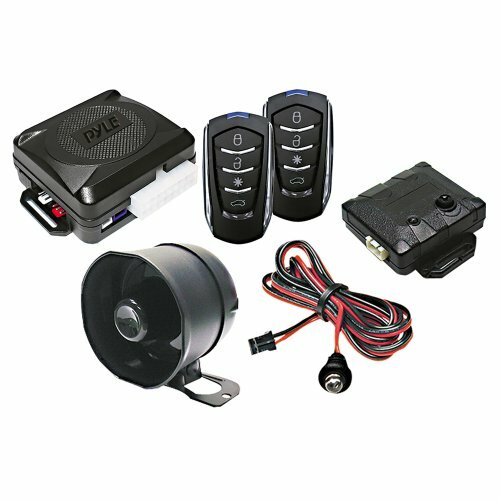 The Pyle Security System combines loud sirens with various quieter features such as remote start and multiple arming modes. Pyle isn’t the biggest name in auto security, but this is a solid, well-made system designed to protect your car from a variety of potential problems. A 120dB two-tone siren draws plenty of attention, while ignition locks, remote start and other features keep you safe when entering and exiting the vehicle. Includes two four-button remote transmitters which let you switch between standard and level shifted operating mode. Key fobs include a panic mode for emergency situations as well as override mode for valet parking and other situations involving a temporary driver. 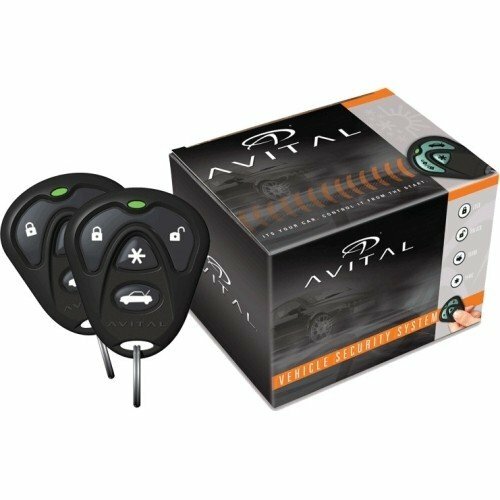 A full-featured alarm system with remote door lock, trunk access and more. The InstallGear Car Alarm system is loaded with bells and whistles – both figuratively and literally! Aside from a siren and flashing lights, the system also includes remote lock/unlock and remote trunk opening and closing. The entire system is controlled by a four-button remote (includes two fobs). An LED indicator light sends a clear, silent warning when the system is armed. Your car doesn’t need to be defenseless when you’re not around. A car alarm system helps protect your car day and night no matter where it’s parked. While loud sirens and alarms can help deter theft, tracking systems help with recovery efforts if the car is stolen. Additional features such as smartphone-based monitoring, carjacking protection and more also help keep both driver and vehicle safe. Don’t be a victim of car theft. A car alarm system helps keep your car in the hands of its rightful owner – you!